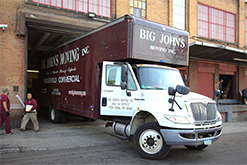 Founded in 1977, Big John’s Moving has grown from a one-man operation to a leading full-service moving company, with a fleet of modern, “green” energy-efficient vans, trucks, and trailers. In fact, we are of the few remaining independent movers in New York City. Our experienced crew of professional movers, handpicked and hired by Big John himself, shares our founder’s passion for providing excellent service for moves of all sizes—residential, commercial, local, and long- distance—at an affordable cost. 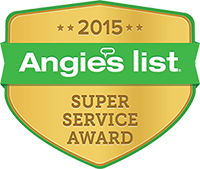 We also offer professional packing services, private storage, moving supplies, and FREE on-premise estimates. We are committed to make your move as seamless and stress-free as possible, and provide peace of mind during what can be a stressful and hectic time. belongings as if they were their own. Little John’s private storage at our modern Bronx facility for less than our Manhattan competitors. We use our own crew of pros & fleet of “green” trucks & vans to handle moves to Florida, Texas, Chicago & more. Our courteous showroom staff will help you select from our full stock of moving and packing supplies.